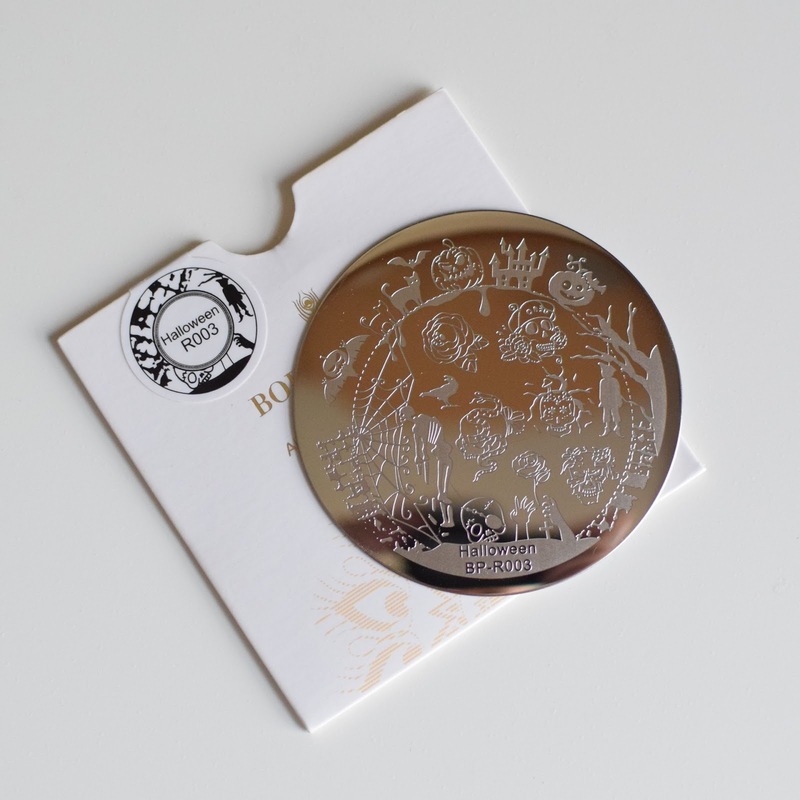 The final Halloween plate I have from Born Pretty is R003, one of the small, round plates. There are a lot of small designs scattered on this plate, and there is an awesome variation for such a small and cheap plate! Skulls, pumpkins, buildings, skeletons, cats, bats. If you have short nails, like me, then some of these designs might even fill the majority of your nail (I know some did for me), but if you have longer nails these design would make for some great accent nail designs or repeated into a pattern.